New Zealand's Trade Me Group says it is pulling all semi-automatic weapons from its online classifieds marketplace following the terrorist attack in Christchurch that killed 50. The dual-listed company said it would remove listings for semi-automatic firearms and their parts "while we await clear direction from the government". "We're obviously still reeling, like all New Zealanders, and our hearts go out to the victims and their families and friends," Trade Me said on Monday. New Zealand Prime Minister Jacinda Ardern said on Sunday that the country's gun laws would change following the attack, and banning semi-automatic weapons was "certainly one of the issues" that would be considered. Trade Me said it felt that firearms sales between licensed owners in a transparent and traceable environment was better than the alternative. "But it is clear public sentiment has changed in relation to semi-automatic weapons and and we acknowledge that, which is why we're putting this ban in place," the website said. 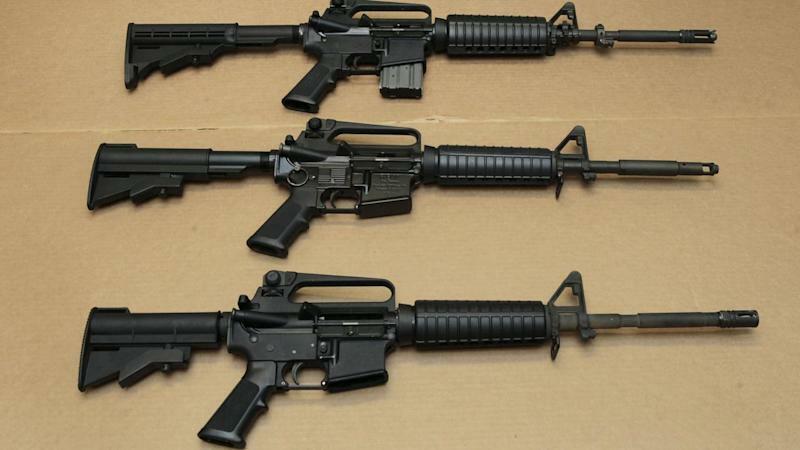 Social media users called the website out over the weekend for having a number of AR-15 rifles for sale, a style of firearm commonly used in US mass shootings. Trade Me said it had never allowed "military-style" category E semi-automatics under New Zealand law. But the standard AR-15 firearm is considered a category A weapon under the country's lax gun laws.